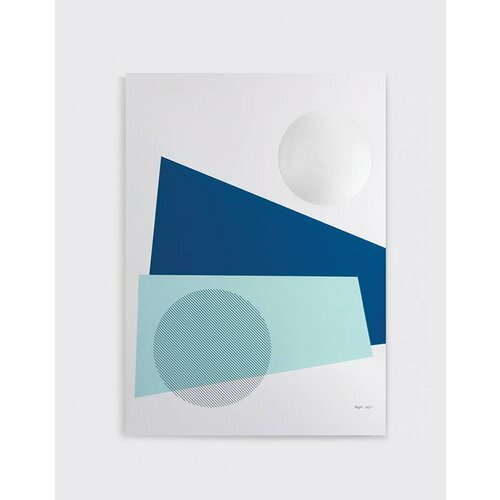 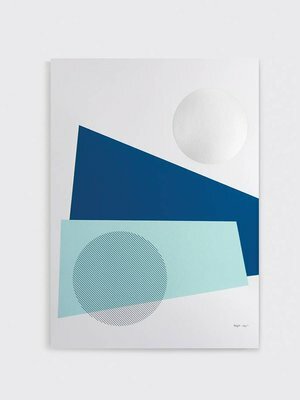 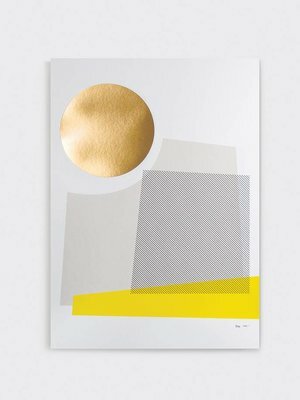 Day And Night are a pair of simple geometric prints inspired by landscapes, reflections, the sun and the moon. 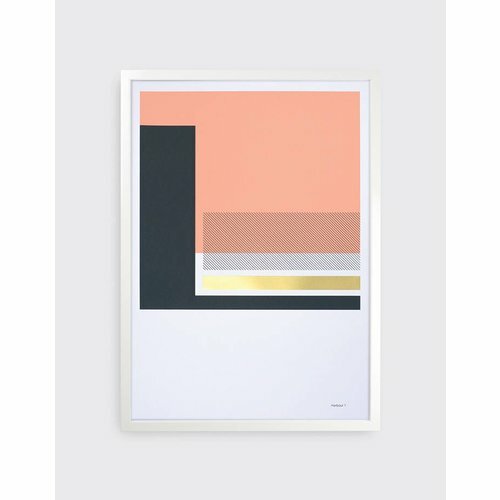 Tom Pigeon’s Harbour series of three prints is inspired by the linear structures of three local harbours. 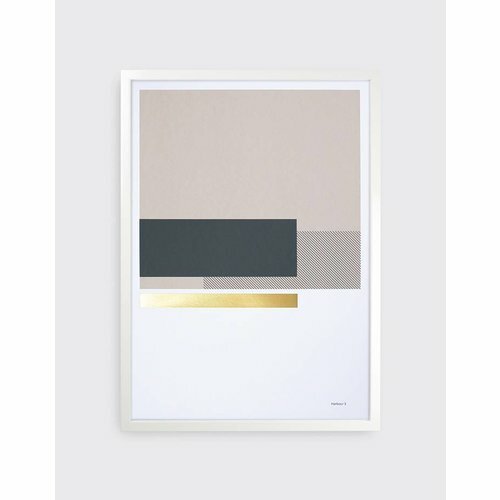 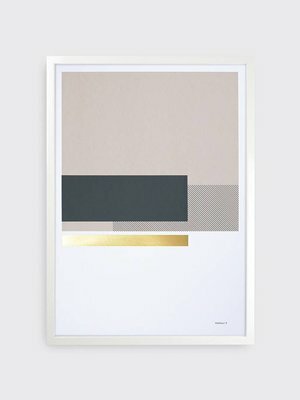 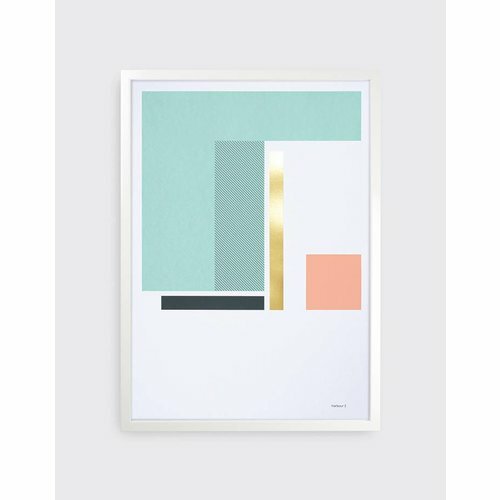 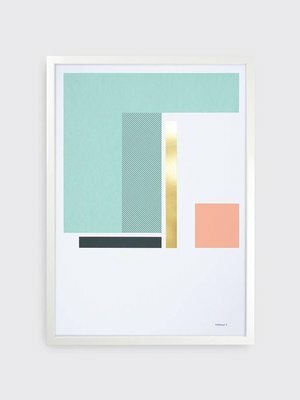 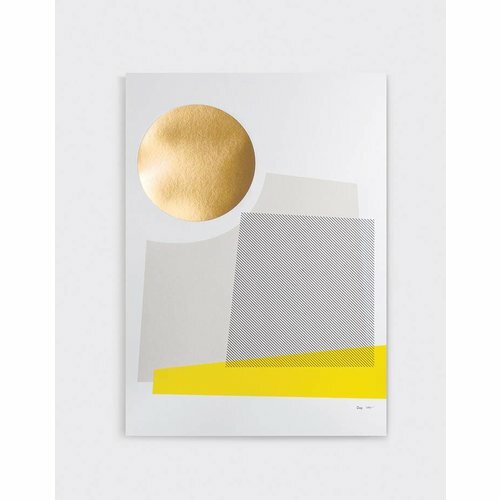 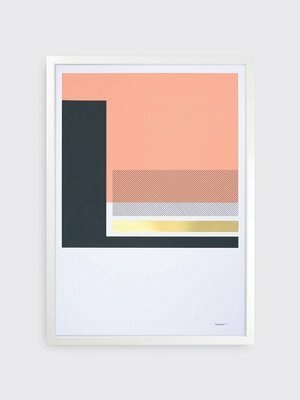 Each print is paired back to a series of brass foiled blocks, simple lines and colour.